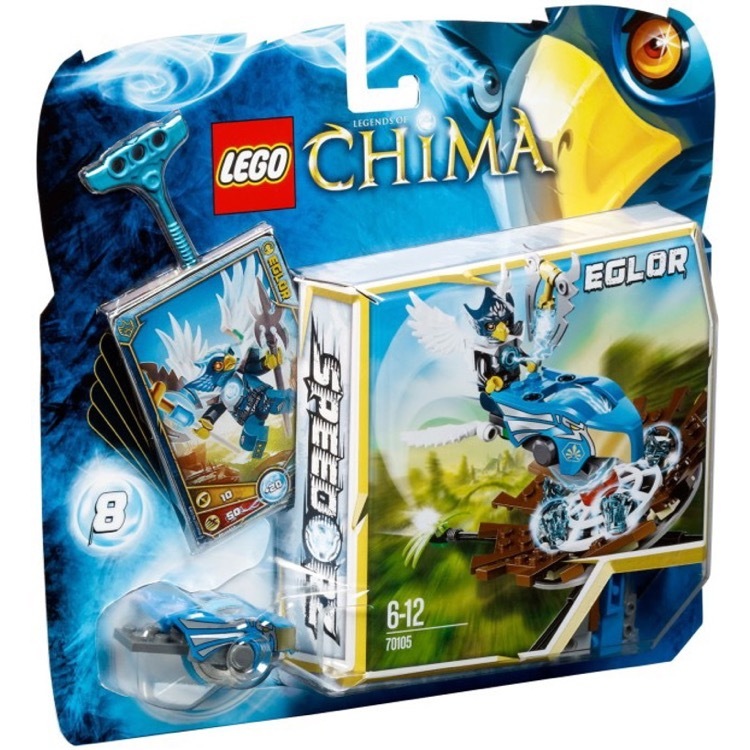 This is a BRAND NEW set of LEGO® Legends of Chima 70003 Eris' Eagle Interceptor from 2013. This set is still factory sealed and the box is in very good condition with minor shelf wear. 348 pieces and 3 minifigures©. 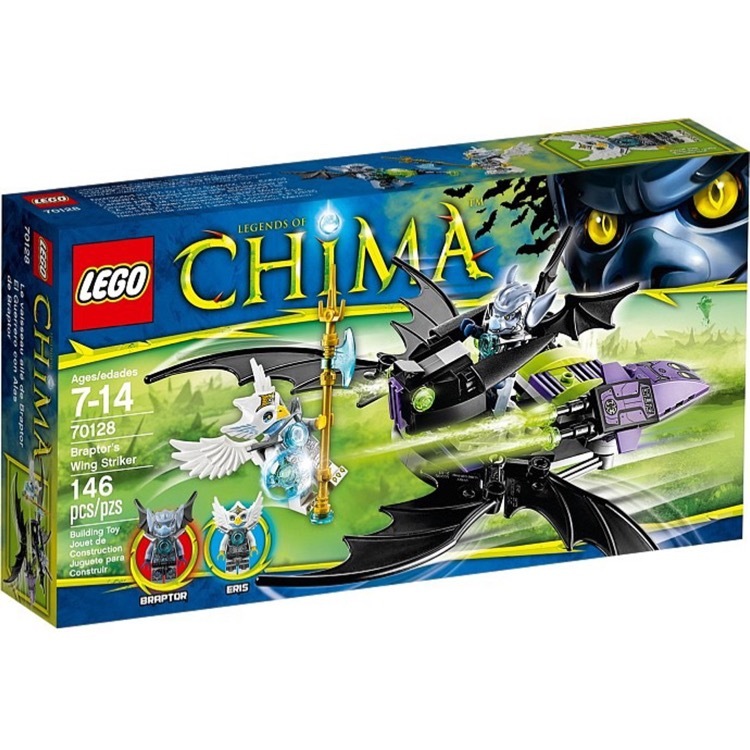 This is a BRAND NEW set of LEGO® Legends of Chima 70113 CHI Battles from 2013. This set is still factory sealed and the box is in very good condition with minor shelf wear. 92 pieces and 2 minifigures©. 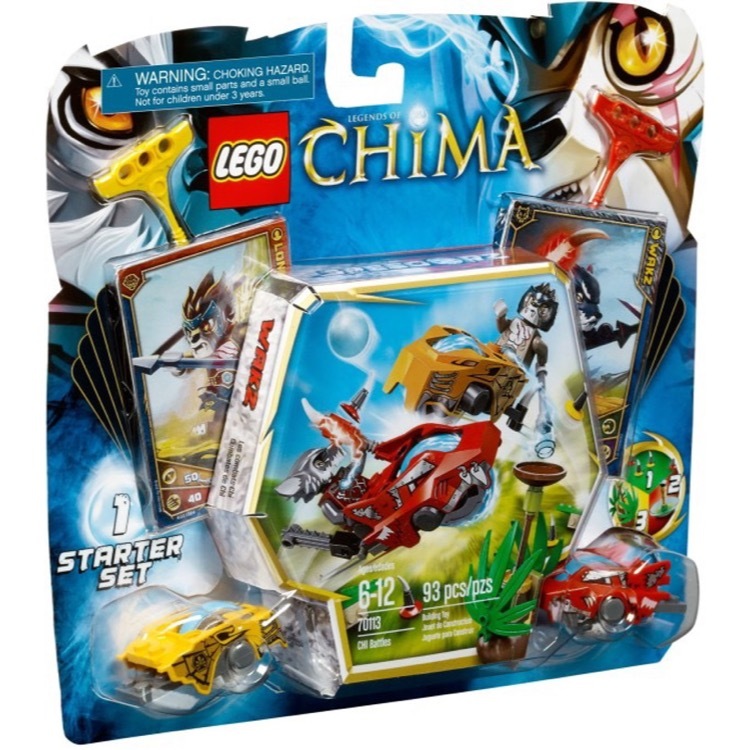 This is a BRAND NEW set of LEGO® Legends of Chima 70105 Nest Dive from 2013. This set is still factory sealed and the box is in very good condition with minor shelf wear. 97 pieces and 1 minifigure©. 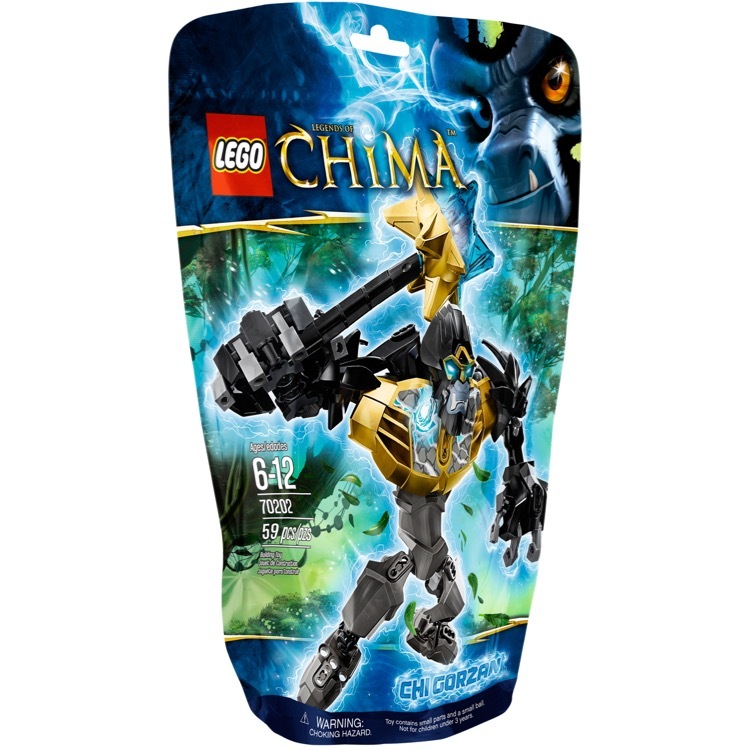 This is a BRAND NEW set of LEGO® Legends of Chima 70106 Ice Tower from 2013. This set is still factory sealed and the box is in very good condition with minor shelf wear. 101 pieces and 1 minifigure©. 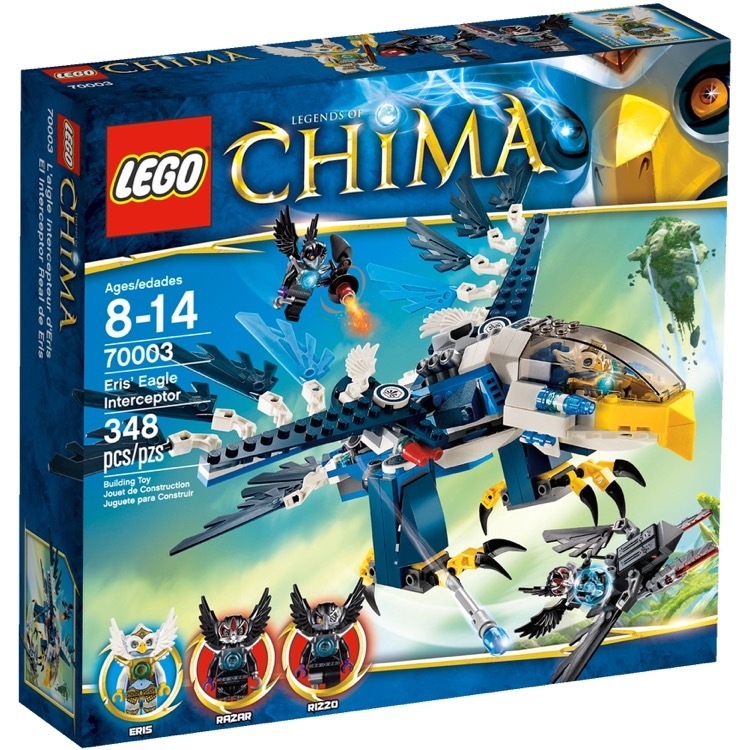 This is a BRAND NEW set of LEGO® Legends of Chima 70108 Royal Roost from 2013. This set is still factory sealed and the box is in very good condition with minor shelf wear. 105 pieces and 1 minifigure©. 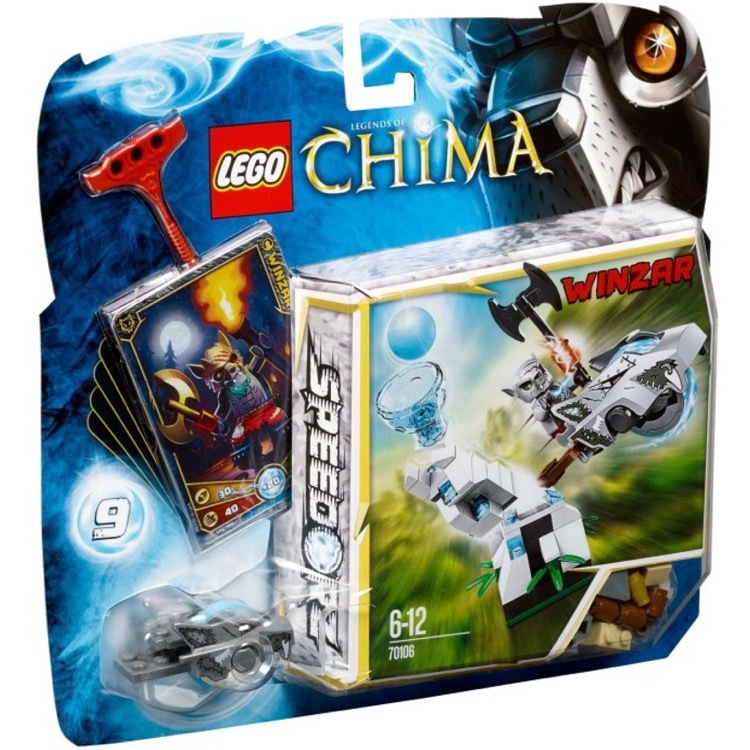 This is a BRAND NEW set of LEGO® Legends of Chima 70109 Whirling Vines from 2013. This set is still factory sealed and the box is in very good condition with minor shelf wear. 77 pieces and 1 minifigure©. 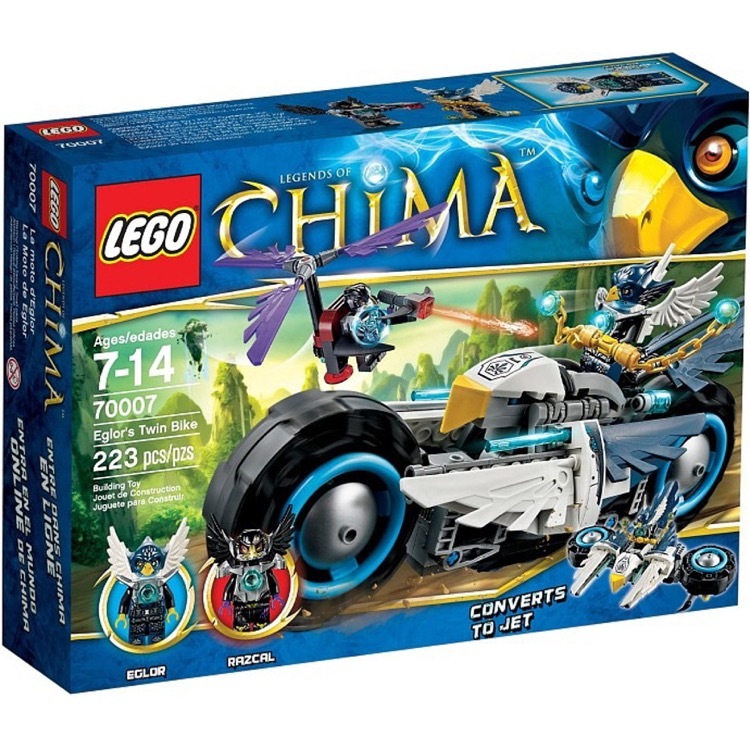 This is a BRAND NEW set of LEGO® Legends of Chima 70007 Elgor's Twin Bike from 2013. This set is still factory sealed and the box is in very good condition with minor shelf wear. 223 pieces and 2 minifigures©. 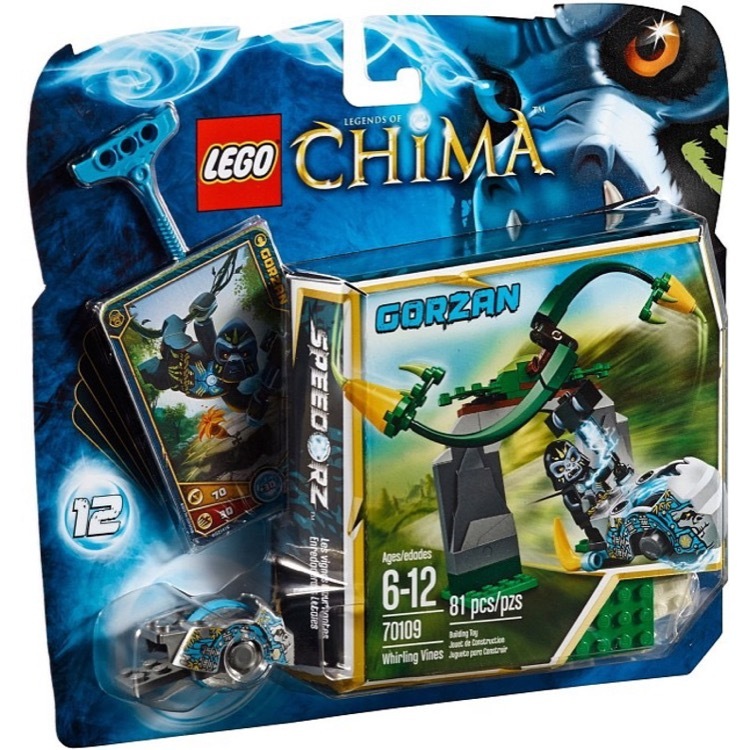 This is a BRAND NEW set of LEGO® Legends of Chima 70202 CHI Gorzan from 2013. This set is still factory sealed and the box is in very good condition with minor shelf wear. 59 pieces and no minifigure©. 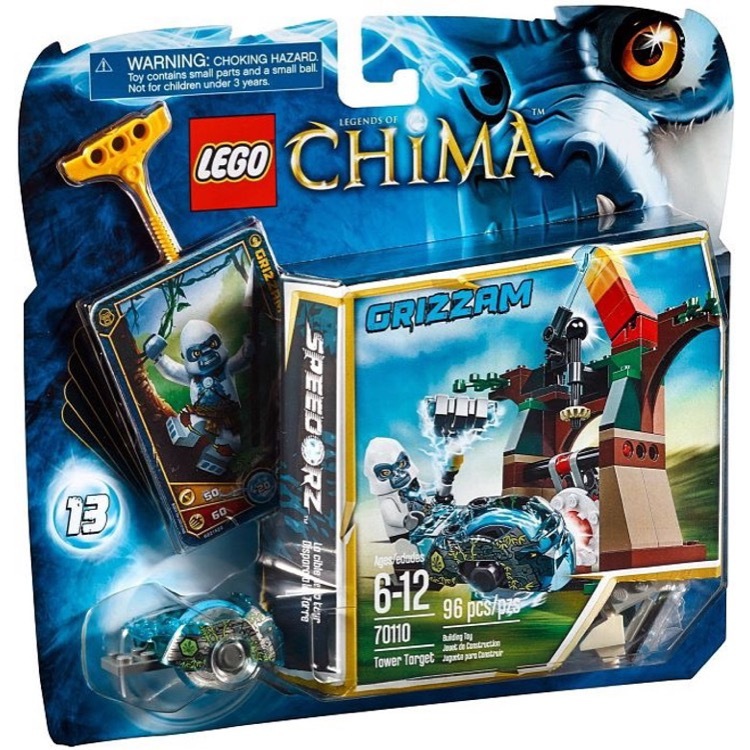 This is a BRAND NEW set of LEGO® Legends of Chima 70205 CHI Razar from 2013. This set is still factory sealed and the box is in very good condition with minor shelf wear. 68 pieces and no minifigure©. 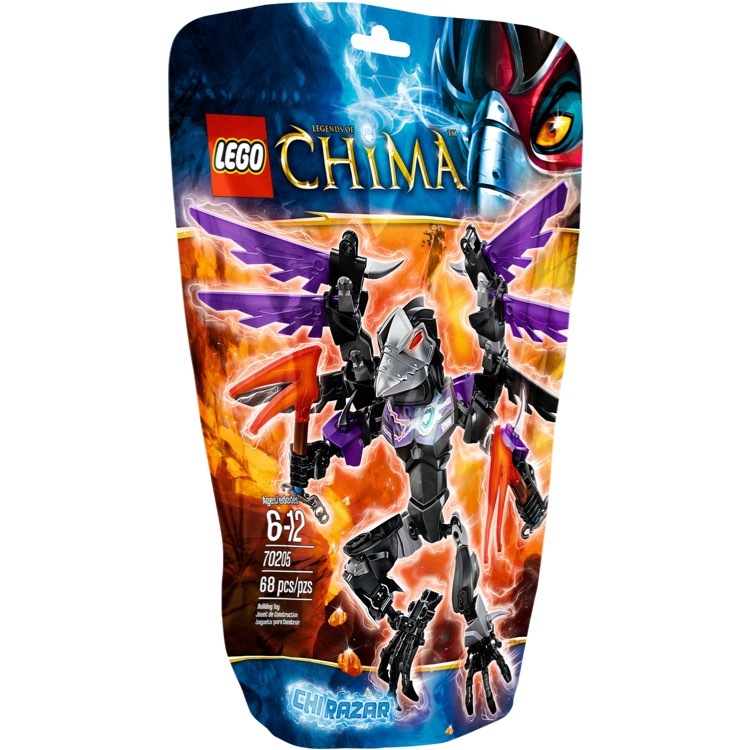 This is a BRAND NEW set of LEGO® Legends of Chima 70110 Tower Target from 2013. This set is still factory sealed and the box is in very good condition with minor shelf wear. 92 pieces and 1 minifigure©. 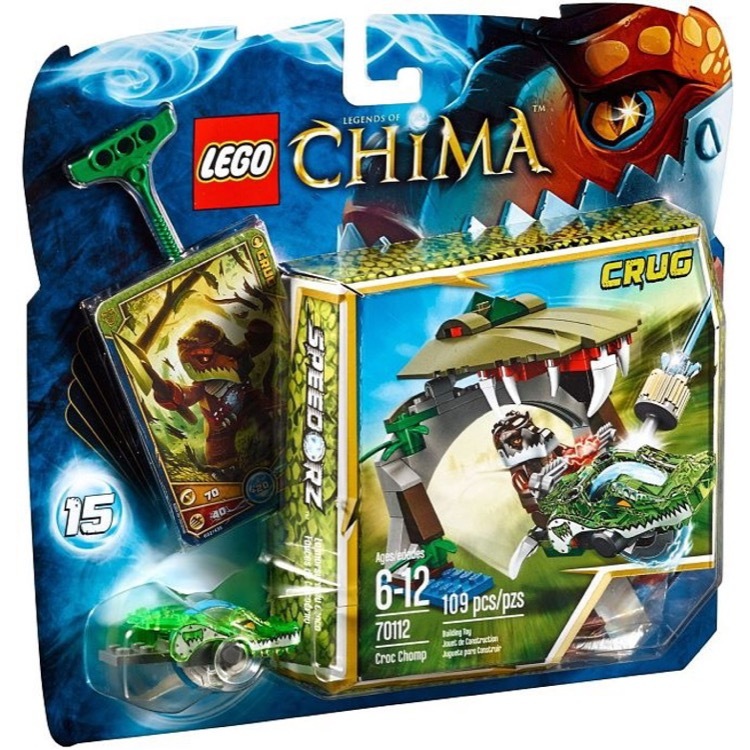 This is a BRAND NEW set of LEGO® Legends of Chima 70112 Croc Chomp from 2013. This set is still factory sealed and the box is in very good condition with minor shelf wear. 105 pieces and 1 minifigure©. 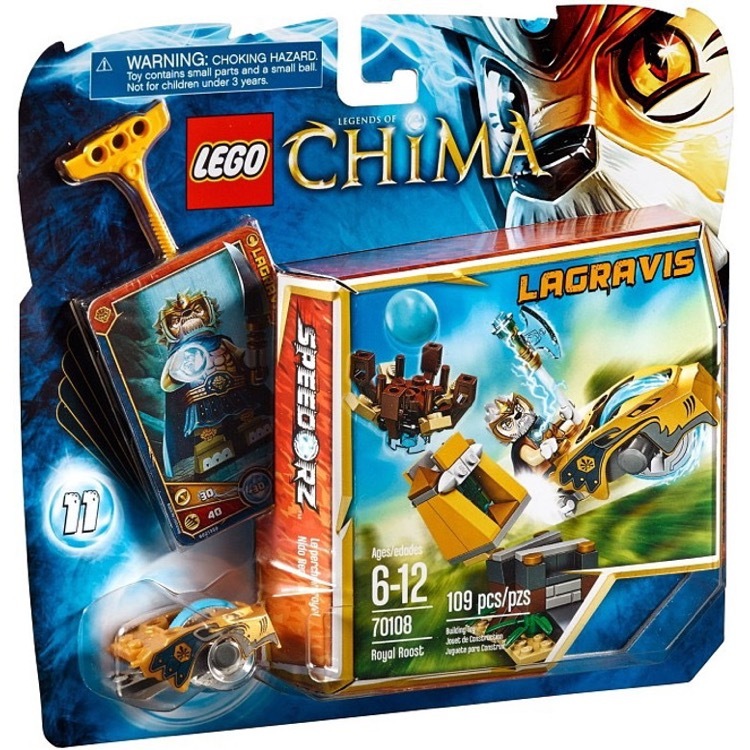 This is a BRAND NEW set of LEGO® Legends of Chima 70128 Braptor's Wing Striker from 2014. This set is still factory sealed and the box is in very good condition with minor shelf wear. 146 pieces and 2 minifigures©.